Over 2000 people from across Australia attended the 2016 Garma Festival in August in North East Arnhem Land including Department of Education staff. 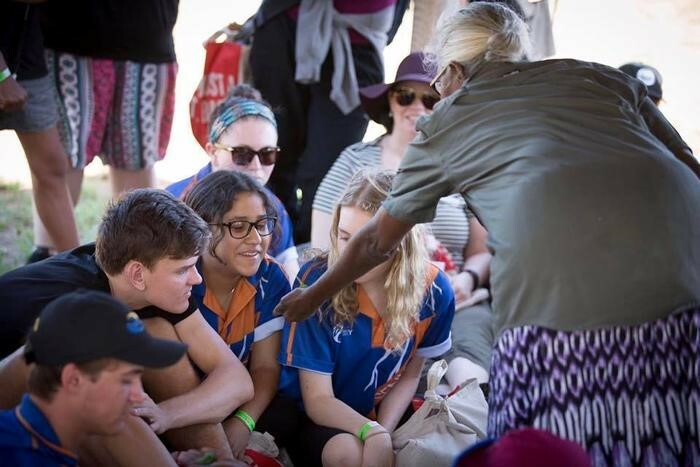 The presentations and activities at the Education Fair gave attendees an opportunity to gain insights into education in the Territory with a specific focus on initiatives targeting Indigenous children and young people. Assistant Regional Director for Arnhem, Haidee Dentith, and Nhulunbuy High School Principal, Sabina Smith, spoke about the importance of the four local schools working together under the Yambirrpa schools’ partnership and the direct benefits the partnership was bringing to all students in schools across the Gove peninsula. NT Young Achiever of the Year Kate Axten gave the participants a greater understanding of the diversity of educational experiences for young Indigenous people across the Territory and the importance of education.